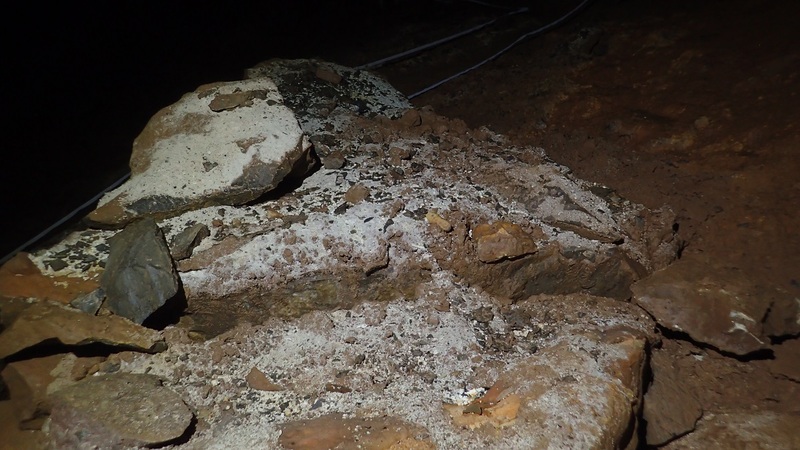 We reported last year that cryogenic cave crystals (CCCs) had been found for the first time in the UK in Wookey Hole in 2015. Gina Moseley and Mark Luetscher from Innsbruck University had been investigating CCCs for some time in the Alps and want to extend the research to the UK, and are calling for cavers to help. 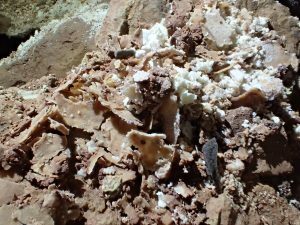 The British Cave Research Association (BCRA) are offering up to six prizes worth up to £240 to winners of the Cryogenic Cave Calcite Competition. The study of CCCs is just one of many studies worldwide into the possible effects of climate change, so this is an opportunity for cavers throughout the country to help further that research, and not just a chance to win! 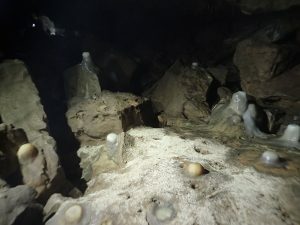 The British Cave Research Association, through its Cave Science and Technology Research Fund has kindly agreed to fund the competition to help find cryogenic cave calcites (CCCs) in the UK. The UK has been split into six regions, and the group or person that finds the most caves with CCCs per region will win either 200m of rope, or £240 worth of caving equipment. How important is CCC study? Permafrost occupies 24% of the Northern Hemisphere land surface but is under threat of degradation from increased surface temperature. This is a major issue because permafrost is estimated to contain twice as much carbon as the atmosphere, thus as thawing proceeds, greenhouse gases are further released in the form of carbon dioxide (CO2) and methane (CH4). Understanding more about permafrost dynamics is thus highly important for improving future predictions of climate change. Once the CCC finds have been validated and the winners announced, the results of the competition will be reported to the BCRA and published in the BCRA Annual Review as well as in Descent. If a significant numbers of sites with CCCs are discovered, the data will be used to support a larger research project that will aim to date the CCCs and map the presence of permafrost in space and time during the last glacial period. Cryogenic cave calcites (CCCs) form when water enters a cave and turns to ice. As the water freezes, it becomes increasingly enriched in ions to the point of supersaturation and precipitation of calcite. Today caves in Britain do not contain ice, but evidence that they once did can be found by the presence of CCCs. By dating CCCs we can find out more about the environmental conditions at the time of formation and also when the cave was an ice cave. There are many indications that a cave once contained ice. These can be angular breakdown boulders that formed through freeze-thaw processes operating within the rock, or ‘fluffy’ mud, which is a type of patterned ground that forms from freeze-thaw processes operating in the sediment. Today CCCs will likely be found where they settled when the ice melted. This means that they are found on the floor, and not on walls or ceilings. Often they are found in passages that do not flood (otherwise they would be washed away), lying on top of angular breakdown boulders or on top of ‘fluffy’ mud. They would normally by ‘loose’ on top of the surface on which they are found, and not stuck or cemented to the underlying surface. What do CCCs look like? CCCs come in many shapes, colours and sizes. Typically CCCs are white to light brown in colour, and a few millimetres in size, though CCCs up to 4cm in diameter have been discovered in the UK. The shapes are extremely varied, from distinct crystals to rafts to balls with concave and convex sides. This article is illustrated with photographs of CCCs already discovered in the UK. More photos showing different types and more details can be found on the BCA forum. It is recommended that potential CCC sites are protected where possible, either by taping or with a notice, especially those found to be in vulnerable locations on major routes. We’ve summarised the entry requirements and rules below. Gina Mosely and her team would welcome reports as well from other countries, although obviously these would not be eligible for entry to the competition. general description of CCC finds (e.g. 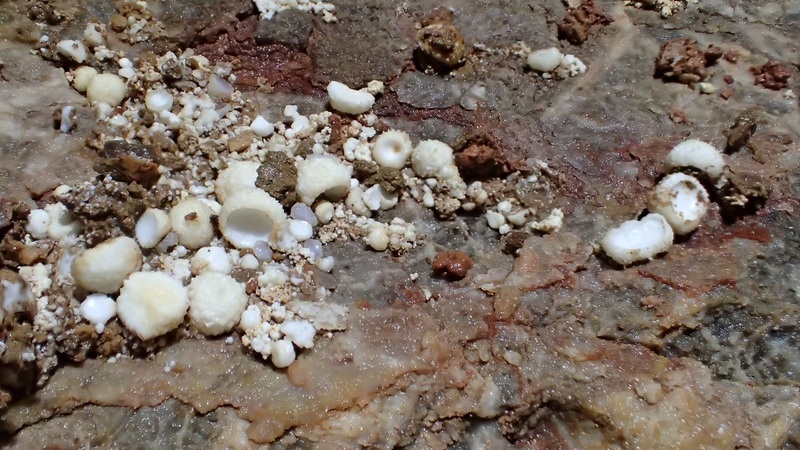 brown breadcrumb-type crystals, white concave/convex bubbles, raft-like formations). photos of the site both showing the wider scene as well as close ups. Individual photos should be maximum 1000 pixels wide, be in JPG format, and compressed to have a file size of no more than 200 kB. Note that photographs will be visible to anyone, therefore to help protect images, it is recommended that a watermark is applied. It will be the first reportage of CCCs in a particular cave on the BCRA forum that will count in the competition. For an entry to be complete, all five main entry requirements must be met by the closing date of the competition. To aid early reporting of finds, photographs may be submitted at a later date. All required information must be complete by the closing date of the competition for the entry to be considered. The competition will be judged by Judges: Professor John Gunn, Dr. Andy Farrant, Dr. Marc Luetscher and Dr. Gina Moseley. Once the competition has closed, the CCC sites will be validated by the judges before the winners are announced. Validation may take several months, so please be patient with us whilst we visit all the sites! Please note competition closes 30th June, 2018 and the judges decision is final. Photographs will only be used to aid verification of CCCs and the BCRA retains no right to use the photographs for other purposes. The competition complies with the Artists’ Bill of Rights. From my logbooks…25 years ago.